Happy Friday, dear readers. Naturally, being the end of the week, it’s time for our Microsoft news roundup. It was a Windows-heavy last few days, so we’re going to break that specific topic into two separate headlines. Don’t worry, you’ll see why. As always, hit the archives for a full dose. Now, ensure that you are following us here at TNW Microsoft on both Twitter, and Facebook, and let’s get into the news. There are three Windows 8 stories that you need to know this week. In order: No booting to Desktop, the software’s packaging is a tich bothered, and the Surface is an indirect comment on the strength of the Windows OEM market. We’ll hit each. You won’t be able to boot to Desktop in Windows 8, it turns out. This means that if certain users had hoped top be able to avoid the new Metro Start Screen, too bad. It’s part of Windows 8 in such a way that not only can you not get rid of it, Microsoft is betting that you, ahem, won’t want to. How do we know that? If they didn’t, they would let you get rid of it. Microsoft’s decision to make its own devices is a damning condemnation of its partners, an admission that they have failed to keep pace with the market, and that they collectively allowed Apple to take the crown in any number of consumer electronic and computing areas. Windows Phone’s Marketplace is more than likely going to become the Windows Phone Store. Why? We suspect that naming convention consistency is the reason. Now that the Windows Store and the Office Store exist, having the Windows Phone Marketplace feels out-of-place. The new name has been cropping up in a few places recently. However, as we reported a few days ago, Microsoft is being coy, that this is “likely [an] intentional leak that the company isn’t commenting on to annoy the media and befuddle the tech-reading masses.” Well then. Also, Windows Phone overtook Symbian’s market share in Finland. A symbolic victory for Windows Phone and Nokia, but one that we suspect that they will take. Registration for BUILD is open! Registration for BUILD is sold out! Sorry about that, tickets went quickly. However fear not, some sessions will be online, so you will still be able to get a dose. TNW’s thoughts on what to expect can be found here. The Office store is now live! There are apps in it, all free at the moment, that you can use. 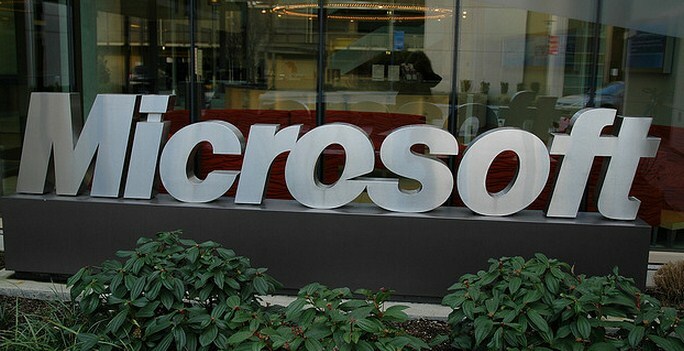 TNW recently spoke with Microsoft concerning both Office 2013, and its Store. Our impression is that Office 2013 is a clean, quick version of Office that, once you manage to un-un-enable web connected services (my bad, Microsoft, sorry for the emails), has some quite powerful integrated cloud services. The Office Store is something that has the potential to be quite useful, if it can secure sufficient consumer mind share. Oh, and if you are a developer, the Office team is running a contest that might be interesting. Finally: There is a new Windows Phone Dev Center out, that is replacing App Hub. RIP App Hub. The latest from ZDNet is that Microsoft has decided to replace ‘Metro’ with ‘Windows 8.’ If that sounds like a clunky substitution, that’s because it is. This revelation means that there will be no more ‘Metro-Style apps,’ just ‘Windows 8 apps.’ Metro user interface? Windows 8 Interface! My contacts are hearing that Microsoft is going to use the same “Windows 8″ naming conventions when talking about Windows Phone, going forward. So the Metro interface on Windows Phone is now known as the “Windows 8 interface” on Windows Phone.